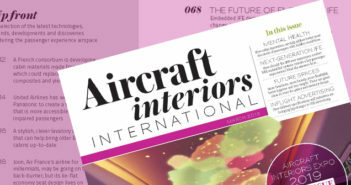 October 26, 2016 – Anything to do with the forthcoming Boeing 777X is of great interest at Aircraft Interiors International, but an announcement made at this week’s APEX Expo in Singapore has really raised interest levels – and eyebrows. 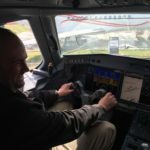 Patrick Brannelly, Emirates’ IFE supremo, has enjoyed a long relationship with Panasonic Avionics, and together they have created a really differentiated IFE experience (see our interview with Brannelly HERE for details). However, an interesting development is his signing up for Thales’ AVANT IFE system for its fleet of 150 Boeing 777X aircraft, with deliveries scheduled to begin in 2020. According to Thales, it will be the first IFE system provider to equip the B777X platform, and the contract is the result of Thales’s commitment to strengthen its presence in Dubai. In support of Emirates’ long-term ambitions, Thales intends to establish Discovery Dubai – a custom innovations center for the passenger experience – in the United Arab Emirates. Managed by Thales, the center will enable Emirates’ teams to develop and shape their future passenger engagement initiatives and programs. Thales also plans to set up a repair center to provide operational support and services to Emirates.